While we’ve already had some massive releases this year, July brings with it some more amazing games to keep our schedules busy and wallets empty! Red Faction: Guerrilla, which originally released almost 10 years ago on Xbox 360 and PS3, makes its jump to PS4, Xbox One, and PC, albeit with a host of technical upgrades. You still get the same open-world, destruction-based action adventure, but there have been some new, higher-res textures added, 4K support on consoles, and a few graphical enhancements. If you’re a fan of smashing things in third-person, this game is made for you. Left 4 Dead fans will want to check out Warhammer: Vermintide 2 when it comes to Xbox One this month. Already released on PS4 and PC, Vermintide 2 takes the four-player co-op survival formula, and paints it with the Warhammer fantasy universe brush. It’s fast, brutal, and if you’ve got 3 friends looking for something to play, it’s a ton of fun. Hitting consoles almost a year since Sonic Mania‘s release, Sonic Mania Plus offers the classic Sonic gameplay from the original, but with new levels added to the game, more secrets, and two additional characters in the form of Mighty the Armadillo, and Ray the Flying Squirrel – both of whom have been long absent since their appearance in the arcade-only release of Sonic the Hedgehog. 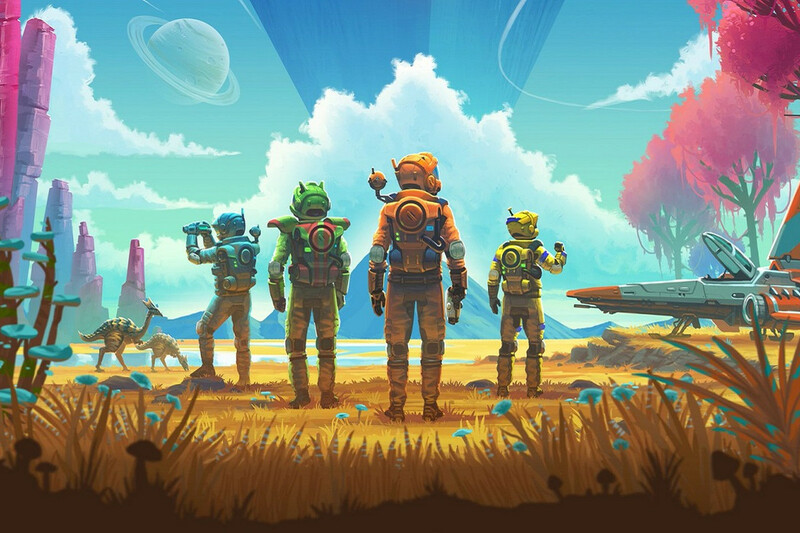 No Man’s Sky‘s release in 2016 will go down as one of the most blundered video game launches of all time, due to the fact that it hit shelves without many promised core features, including space-combat and multiplayer. The game finally arrives on Xbox One, though, and this time around, the developers assure that multiplayer is in the game, that players can link up and survive together and build colonies, and, yup, space battles will be there too… apparently. A smaller indie game in Hello Neighbor arrives this month, but it’s undoubtedly one of the most interesting. It requires players to break into their mysterious neighbour’s house, solve some puzzles, and find out the secrets that your proximate is hiding. While doing so, you’ll have to avoid him at all costs, which sets up a thrilling cat-and-mouse scenario for players. What game are you most looking forward to this month?